Successfully Added Vape Pen Vapor Vapelite 50w - 510 Thread, 1500mAh, 2ML Tank, 0.5-Ohm, Temperature Control to your Shopping Cart. If you are a beginning vaper and are looking for a great e-cigarette, the Vapor Vapelite 50w is the perfect Vape Pen for you. Featuring a sleek and durable design, this e-cig easily slides into your pocket and can be carried along anywhere you go. With its 1500mAh battery, its packs plenty of juice to get you through a vape filled day. With this vape pen at your side, you’ll always be able to enjoy a relaxing vape no matter where you’ll be at. Thanks to its small design, 50 Wattage, and numerous of features, this vape pen is great for anybody that wishes to enter the world of vaping. Featuring temperature control, this e-cigarette lets you adjust your upcoming vape experience to your own personal liking. By allowing you to customize the strength of the taste created with each puff, you can be assured that this vape pen will deliver an experience that meets your own vaping demands. 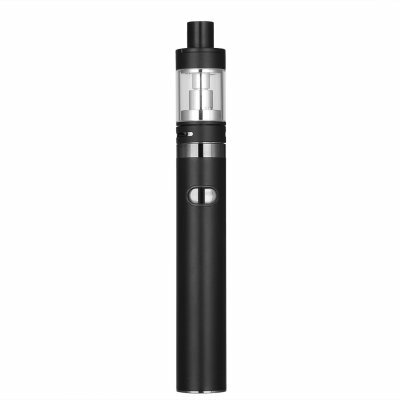 Additionally, this vape pen comes with an abundance of smart safety features such as smoke overtime protection, short circuit protection, and over charging protection thanks to which it ensures a safe vape experience to all beginning vapers out there. Thanks to its 510 thread, the box mod of this vape kit can be used with the vast majority of atomizers and tanks available on the market. This means that you’ll always be able to customize your vape pen by replacing its original RTA. Featuring a 2ml tank, this e-cigarette provides you with plenty of space to be filled up with your favorite tasting e-liquid. Simply assemble the parts together, fill up your tank, and you’ll be ready to enjoy numerous of tasteful and relaxing vaping sessions to come. By supporting 50W and featuring a 0.5-Ohm resistance, this vape pen is capable of producing great taste and large vapor clouds that are sure to leave an everlasting impression. This vape pen comes with a 12 months warranty, brought to you by the leader in electronic devices as well as wholesale gadgets..
Arabic: - السجائر الإلكترونية - Chinese Simplified: - 电子香烟 - Czech: - Elektronická cigareta - Danish: - Elektronisk cigaret - Dutch: - Elektronische sigaret - French: - Cigarette électronique - German: - Elektronische Zigarette - Hebrew: - סיגריה אלקטרונית - Hindi: - इलेक्ट्रॉनिक सिगरेट - Italian: - Sigaretta elettronica - Japanese: - 電子タバコ - Korean: - 전자 담배 - Malay: - Rokok Elektronik - Norwegian Bokmål: - Elektronisk sigarett - Romanian: - Tigara electronica - Russian: - Электронная сигарета - Spanish: - Cigarrillo electrónico - Thai: - บุหรี่อิเล็กทรอนิกส์ - Turkish: - Elektronik sigara - Vietnamese: - Thuốc lá điện tử.